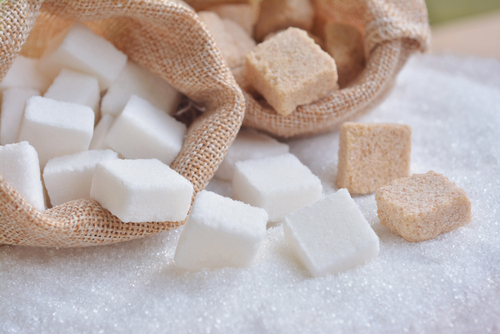 Sugar becomes detrimental if you consume too much of the sweet stuff. And by the looks of it, it seems most people are getting more than the recommended amount per day. Reports indicate that many people consume around 22 teaspoons per day, which is way over the maximum. Modern science demonstrates that this overconsumption of sugar is impacting your body in all aspects possible. Fructose and high-fructose corn syrup, the former being found in table sugar and the latter in added sugar, cause your liver to preserve fat more effectually, and also in strange areas. Eventually, a high-fructose eating habit could result in drops of fat accumulating around your liver. This is an antecedent to non-alcoholic fatty liver disease. To make sure it doesn’t come to this; avoid drinks with high amounts of added sugars. Steer clear of smoothies, too. They may sound healthy, but most of these have lots of added sugar. It’s better if the fructose you ingest originates from natural sources such as fruits. One study determined that for every 150 calories from sugar you consume per day, the risk for diabetes increases by 1.1 percent. People mostly cut down on their consumption of sodas as means of reducing their sugar intake. However, these drinks are just one-third of your added-sugar consumption. You have to explore other possibilities as well. There are foods you think are fine, but are actually high in sugar. This includes bread, ketchup, and frozen meals. 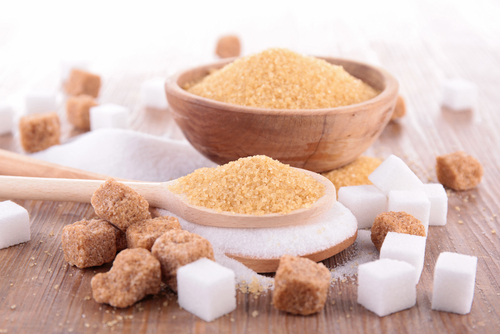 Prevention of diabetes automatically dictates that people need to be cautious of their sugar consumption since sugar is directly linked to the disease. In actuality though, diabetes and heart sickness have a solid correlation being that heart problems and stroke are the topmost causes of fatality among individuals with type 2 diabetes with 65 percent of deaths being accounted for. The best thing to do is to not go beyond the recommended sugar levels. That’s 20 grams or 5 teaspoons for women, 36 grams or 9 teaspoons for men, and 12 grams or 3 teaspoons for kids. This becomes hard for most people to follow as most food items included in their diets are loaded with added sugar, such as sodas, wheat bread, and other processed snacks. Basically, added sugars generate surplus insulin into the bloodstream, directly affecting your arteries, which are the pathway for circulation in the body. Chronic high insulin levels trigger the smooth muscle cells surrounding every blood vessel to develop quicker than normal. As a result, the artery walls become tense, which makes you more likely to have high blood pressure. Eventually, the risk of heart attack or stroke becomes a tangible possibility. There is a disturbing link between sugar and cholesterol. One possible reason is that excessive sugar consumption could set off your liver to produce higher amounts of bad cholesterol as it simultaneously slows down your body’s capacity to get rid of it. One of the things you can do to develop healthy cholesterol is to eat a nutritious breakfast that’s high in proteins. Studies show that foregoing the first meal of the day increases the likelihood of obesity by 4.5 times. Eating breakfast also helps maintain healthy blood sugar levels. Type 3 diabetes is a proposed term for Alzheimer’s disease after researchers determined the connections between insulin resistance, diets that are high in fats, and Alzheimer’s disease. It is then suggested that Alzheimer’s is actually a metabolic sickness since the brain’s capacity to utilize glucose and generate energy is impaired. Stop this from plaguing your health by checking product labels. Be wary of the ingredients that are basically added sugars. Sugary and fatty foods are what seem to trigger Alzheimer symptoms in studies performed on rats. 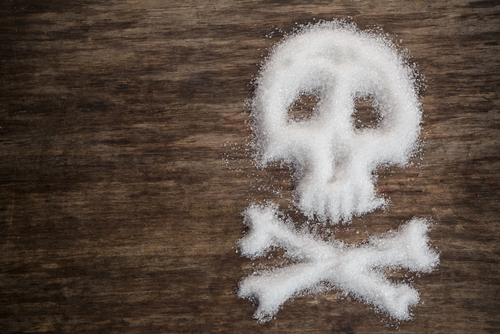 Just like addictive drugs, sugar sets off the secretion of chemicals that activate the brain’s pleasure center. Hence, people form a tolerance for sugar, which means they need more of it in order to feel great. When it comes to cutting down your sugar consumption in the hopes of establishing a healthier diet regimen, it is essential for you to be patient. It typically takes a span of one week for your taste buds to get accustomed to a reduced intensity of sweetness in the foods and drinks you consume. After that, you may surprisingly find that some of the snacks you used to like are now too disgustingly sweet. Developing studies suggest that consuming excessive amounts of sugar screws with your body’s capacity to tell your brain you’re satiated. Being overweight or having type 2 diabetes also messes your body’s ability to suitably repel leptin hormones, whose job is to basically tell you to stop eating because you’ve already had enough. Plus, consuming a high-fructose diet makes your body even hungrier, causing you to be annoyingly voracious.